Liam Smith v Sam Eggington. Damn, this is a fight you need to watch, I feel you. I don’t know what’s worse, missing one of the top fights of the year or hearing your mates talk about it on Monday. … hearing your mates bragging is pretty annoying. Getting a good quality stream to watch the fight can be difficult. If you don’t have Sky Sports in the UK or DAZN in the US, then your options for watching are limited. This article explains everything you need to watch live, but I’ll tell you more soon. Taking place at the M&S Bank Arena (yes, Echo Arena did sound better – I agree) in Liverpool, Liam Smith who will play to a home crowd takes on Birmingham born, former European welterweight champion, Sam Eggington. Smith who has previously fought nine times at Liverpool’s arena holds a nine win record and having recently signed to Matchroom Boxing has a lot to prove. In his own words it’s a bad time for Eggington to face him. After being defeated by stoppage at the hands of Hassan Mwakinyo of Tanzania, Eggington has everything to prove. You probably think you’ll need some sketchy stream you found on Reddit to watch Smith v Eggington, but that’s not the case. In some countries the fight is being shown completely free by official broadcasters. One such is MatchTV from Russia which is the official sports broadcaster there. They also stream the fight online on their website. If you try and watch outside Russia, you’ll be blocked by geo-restrictions. The solution is to use a VPN app. You won’t be able to watch on your actual TV but you’ll be getting to watch the fight at a severely reduced rate. Oh and if you invite your mates round, they’ll love you for getting the fight. A VPN app allows you to view the live stream and watch it anywhere. Just like opening a beer, VPN apps are easy to use. So yes, that means you can watch in the UK, USA, Canada, Australia, Spain, France or in fact any other country on the globe. A quick Google of the term ‘VPN’ will throw up hundreds of results. It’s important to note that not all work for this purpose. 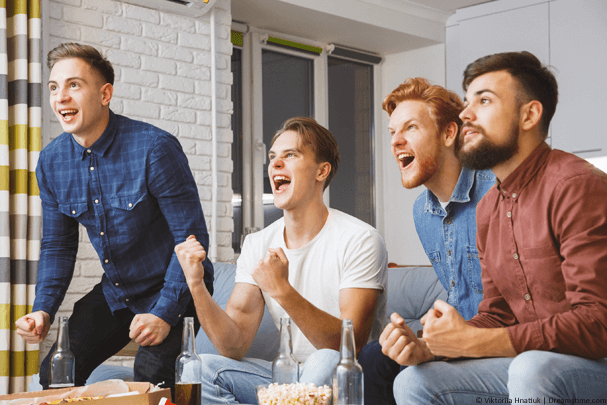 I recommend using ExpressVPN as they’re quick to set up and easy to use leaving you more time to get the beers in or spend with the wife and kids before you settle in to watch the action. It’s worth signing up to ExpressVPN’s yearly package because it’s 49% off right now and with the money you’ll save you can treat your wife to a meal getting you vital brownie points in the process. But you are free to choose any package length as any will be suitable. However, there are plenty of other VPN choices but the following three work well. It’s up to you which you sign up for or if you sign up at all as you can always find out the result the day after. The first thing you need to do is sign up for one of the VPN services above. You’re free to choose any of them because they’re all suitable for watching the Smith v Eggington fight. I’ll be using ExpressVPN as my example in these steps but you can adapt it for the other services too. Now, download the VPN app. For phones and tablets you can search your usual app store for ‘ExpressVPN’. If you’re going to watch on a computer or laptop then download the app from the ‘Products’ section of the ExpressVPN website. Open the VPN app and login with your account details. These are the same details you created when you signed up. Press ‘Choose Location‘ (or the ‘…’ on a mobile). Then ‘Europe‘ and finally click ‘Russia‘. If you’re using a computer you’ll need to press ‘Connect‘. If you’re using a phone or tablet, it will connect for you. Watch Smith v Eggington live using ExpressVPN. That’s it, you’re almost done. You can now live stream the entire fight for free. When is Smith v Eggington taking place? Smith meets Eggington on Saturday, March 30th 2019. Live coverage starts from 9 pm with the fight expected to take place not long after. Coverage will finish at 11 pm, so that’s 2 hours of boxing action. You can work out the fight time in your country by using the time zone convertor. The fight will take place in Liverpool, England at the M&S Bank Arena. The stadium is more well-known as the Echo Arena and sits on the bank of the river Mersey. Smith v Eggington is a fight you won’t want to miss. Thankfully even if you don’t have a cable subscription you won’t need to. You can watch the full fight live for free on an official overseas stream. For this you’ll need a VPN app. 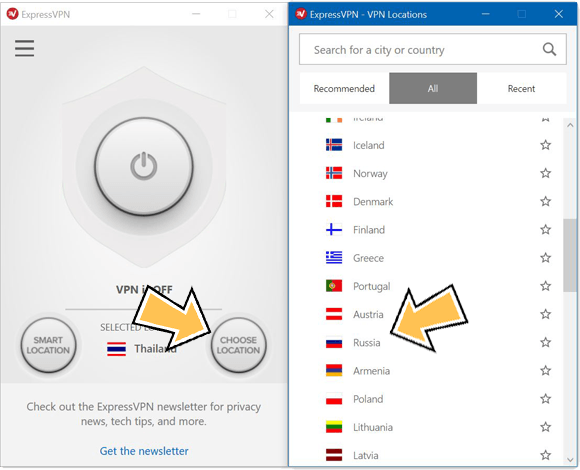 I’ve found ExpressVPN to be the easiest but the choice is entirely yours and I’ve listed 2 other good options earlier in this article. Once you’ve signed up, download the VPN app and connect to ‘Russia’. You can then live stream the entire fight on MatchTV. My money is on Smith but I would love to know who you think will win, Smith or Eggington? Why not drop me a message in the comments section below? Ready to watch the fight? Try our recommended VPN service provider.